Polina Leschenko was born in St Petersburg into a family of musicians and began playing the piano under her father’s guidance at the age of six. Two years later she made her solo début with the Leningrad Symphony Orchestra in St Petersburg. She studied with Sergei Leschenko, Vitali Margulis, Pavel Gililov, Alexandre Rabinovitch-Barakovsky and Christopher Elton. At the age of 16 she received her Higher Diploma with the greatest distinction from the Royal Conservatory in Brussels. Leschenko works with orchestras around the world including Camerata Salzburg, Hallé, London Mozart Players, Scottish Chamber, Bournemouth Symphony, Britten Sinfonia, Bern Symphony, Russian National, I Pomeriggi Musicali in Milan, Orquesta de Euskadi and Australian Chamber Orchestras. A regular visitor to the Hallé, she performed in their 150th birthday celebration concert in February 2008, and in September 2008 she toured South America with the orchestra and Sir Mark Elder. As an accomplished and admired chamber musician, Polina Leschenko also performs frequently at many festivals, including Aldeburgh, Cheltenham, Risor, Stavanger, Istanbul, Progetto Martha Argerich in Lugano, the Salzburg Festival and Musiktage Mondsee. Regular collaborations with artists include Patricia Kopatchinskaja, Alissa Margulis, Priya Mitchell, Daniel Rowland, Alexander Sitkovetsky, Ivry Gitlis, Maxim Rysanov, Mark Drobinsky, Natalie Clein, Heinrich Schiff, Torleif Thedéen and the Auryn Quartet. Leschenko has given major solo recitals in Vienna’s Konzerthaus, Amsterdam’s Concertgebouw and New York’s Carnegie Hall as well as in Salzburg, Milan, London, Paris, Brussels, Minnesota and Atlanta. 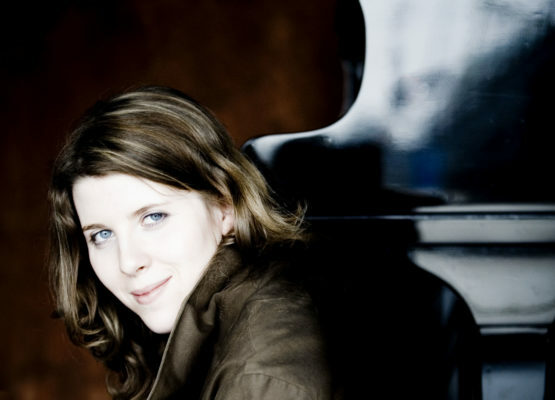 In 2009 Leschenko began a new position as International Chair in Piano at the Royal Welsh College of Music & Drama in Cardiff, where she had a three-year residency. In 2003 Polina Leschenko recorded a début CD for EMI in the series ‘Martha Argerich presents …’ with works by Liszt, Chopin, Kreisler/Rachmaninov, Brahms and Bach/Feinberg. Gramophone described her as having ‘technical dexterity in abundance, and signs of a major artist in the making’. She has also recorded a well-received disc of Prokofiev chamber music with Martha Argerich, Christian Poltéra and Roby Lakatos, for Avanticlassic, with whom she has a recording contract. Her recital disc – featuring an all- Liszt programme including the B minor Sonata – was released in May 2007 by Polina Leschenko Avanticlassic. La Libre Belgique wrote, ‘Polina Leschenko has matured without having lost any of her freedom. Now even more inspired, she turns her wonderful talents to a brilliant, almost improvisatory reading of the Liszt repertoire. Beautifully acknowledging Bach, Busoni and Gounod’s Liszt transcriptions in the first half of the disc, she then offers a unique and personal version of the Sonata: a visionary reading full of lucidity’. The disc has won several awards: a Choc du Monde de la Musique, Pizzicato magazine’s Supersonic and a Joker from Belgian magazine Crescendo. Released by EMI Classics was a recording of Glinka’s Sextet as part of the ‘Martha Argerich and Friends Live from the Lugano Festival’ series, from 2009.